Gene: Erik, Thanks for agreeing to do the interview. Tell me about your blog Cool Not Crippled , what gave you the idea to start it? When did you launch it? Erik: Stan, one of the members of the blog, went to a movie in Salt Lake City where the Don't Drive Stupid ad was featured during the previews. He contacted me about it. We decided that it was an outrageously offensive ad and that we needed to get it discontinued. 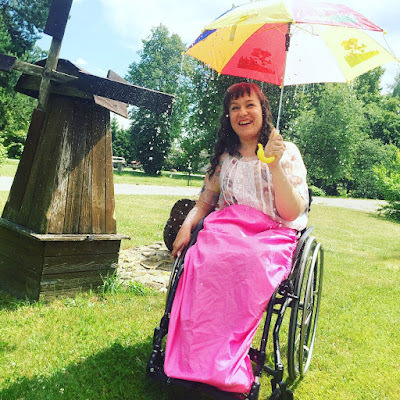 The blog has created in August of this year as a means to voice our disapproval of the manner in which wheelchair users are portrayed. Gene: Do you see the Dont Drive Stupid campaign as a type of prejudice? What do you think is behind it? Erik: The campaign is prejudice because it takes advantage of and promotes an extremely negative perception of wheelchair users. The campaign is an example of a "good" public service message that was executed very poorly and in a short sighted manner. Gene: What is your long term objective? Are you trying to get them to stop the campaign? Do you think you will be successful? 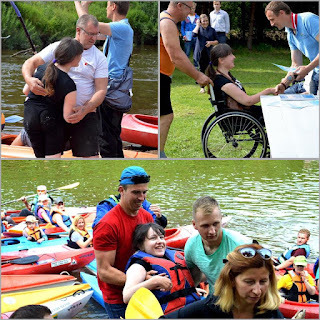 Erik: My objective is to promote a positive image of wheelchair users. One that counter acts the current negative stigma that currently exists. 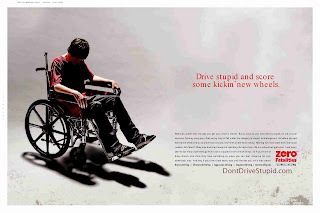 Don't Drive Stupid has responded to our criticism and has discontinued their "wheelchair" campaign. But I feel they need to be held accountable for their actions. They need to take steps to reverse the damage they have caused. 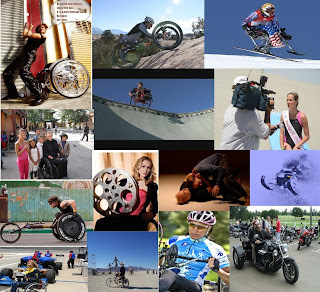 In addition, I recently found other negative "wheelchair" ads. These ads seem to feed upon each other. Therefore, they need to be stopped. Gene: Who is working together with you? I see photos of all kinds of disabled athletes and celebrities on your blog. What is their involvement? Erik: Right now I am the main driving force behind the blog. Erika Bogan (Ms. Wheelchair America 2010) has recently become involved too. Others have expressed an interest in helping out. 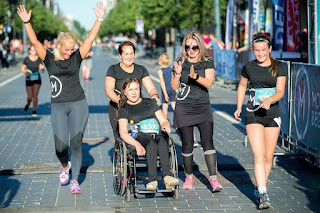 Everyone on the blog has provided their support by promoting a more positive image of wheelchair users. Gene: How can other people help you to achieve your goals? What would you like other people who are interested in this to do? Erik: My first goal is to build up the blog with "cool" photographs of wheelchair users doing "cool" activities. Future plans will be to expand the blog into a display book and video. People can help out by simply submitting a photograph for the blog, or by informing others who would like to be involved. Gene: That is exactly what we have in mind too. I hope we can work together on that. Thanks so much for participating in this interview. Please keep us informed about how things are progressing. It is good to see positive reflections of active people who use wheelchairs. I know that clothes that are hard to put on and do not fit well are also a common frustration. Not having a wide choice of clothes that look good on, in all activities from a Professional office, to casual outings, to athletics can also lead to a less than favourable impression. Fashion Moves Garment Design Competition is working to change this and we welcome comments from everyone. wow I cannot believe this advertising campaign. obviously no one wants to be in a wheelchair... but it is awful that this campaign makes people think being in a wheelchair is the worst thing in the world. i don't think my life is that bad! This sculpture of wheels and toilet is interesting. 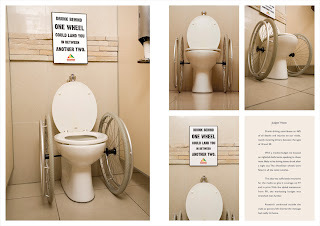 Many toilet users will imagine their wheelchair lives. I am living in Japan now. I am making website about wheelchair & art. Seemingly the sculpture is like work of Marcel Duchamp. But this strong message against people is quite unique in terms of anti-drunk-driving. The below address is my website. I am a man who sent a comment yesterday. In terms of wheelchair users, this kind of ad is offensive to them. In the society, people with handicap and people with no handicap are living together. So this kind of ad have strong message against people with no handicap, but this ad does not take wheelchair users into consideration. In Japan, same kind of ad made by Japanese might be published. If so, I will have to be against it.